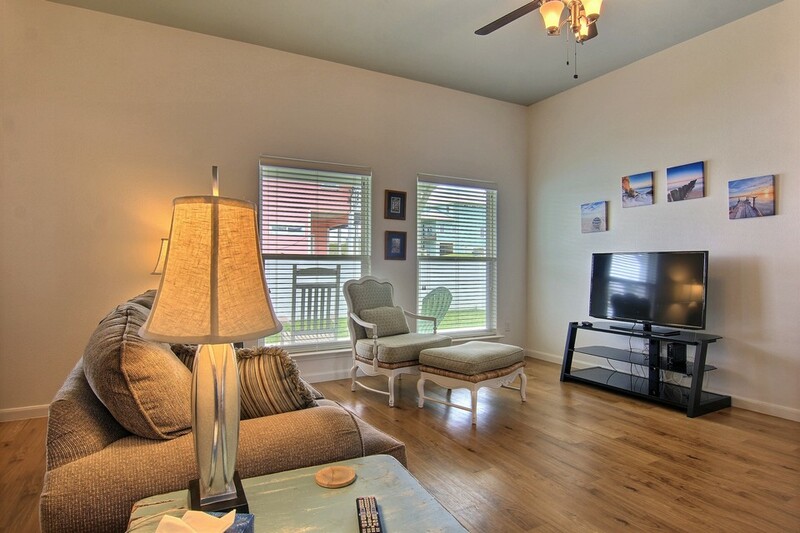 SOLD!!!! 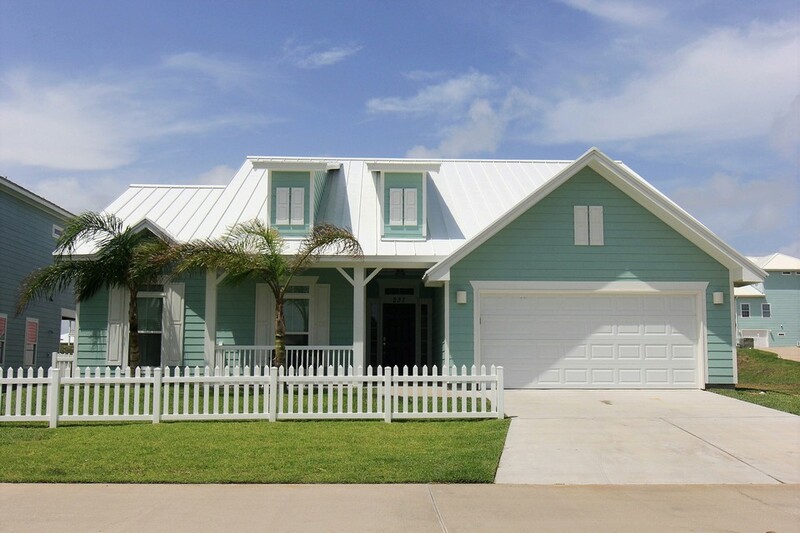 Modern Coastal Style! 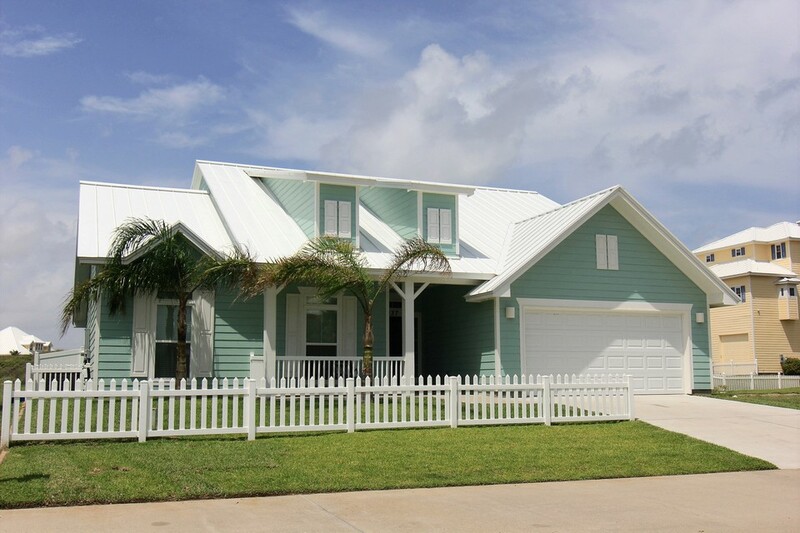 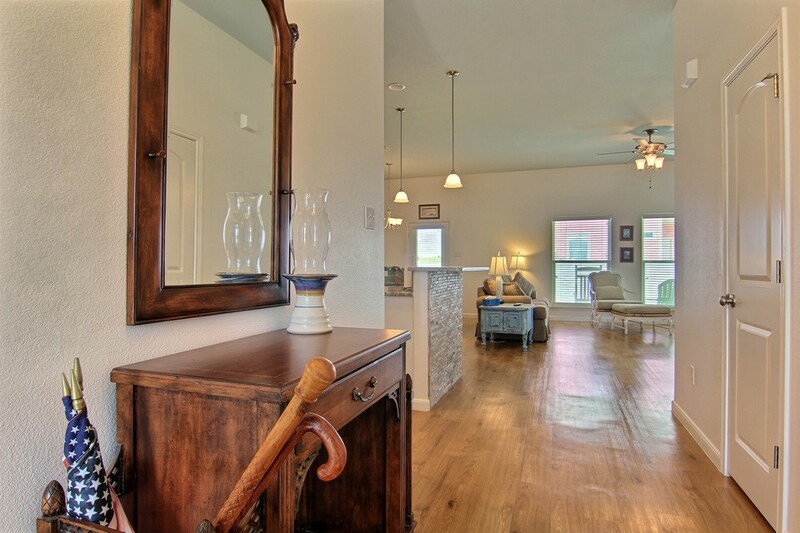 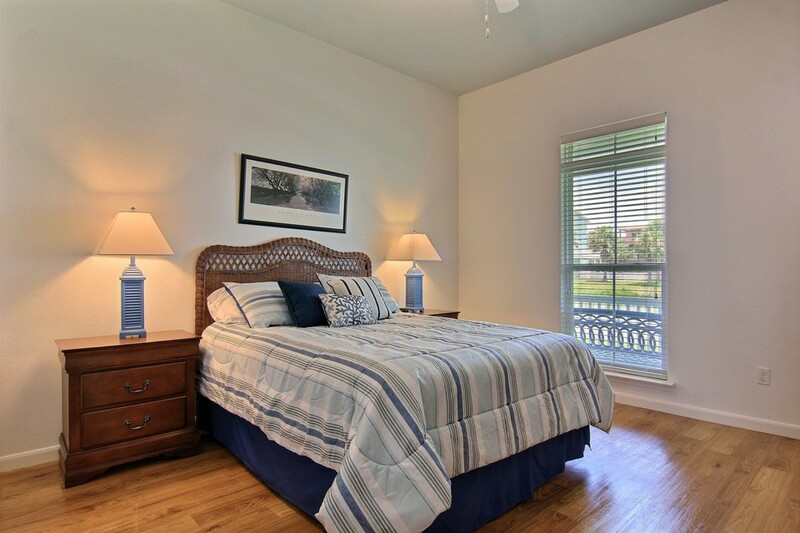 Like new three bedroom, three bath home just steps from the beach walkway in Mustang Royale. 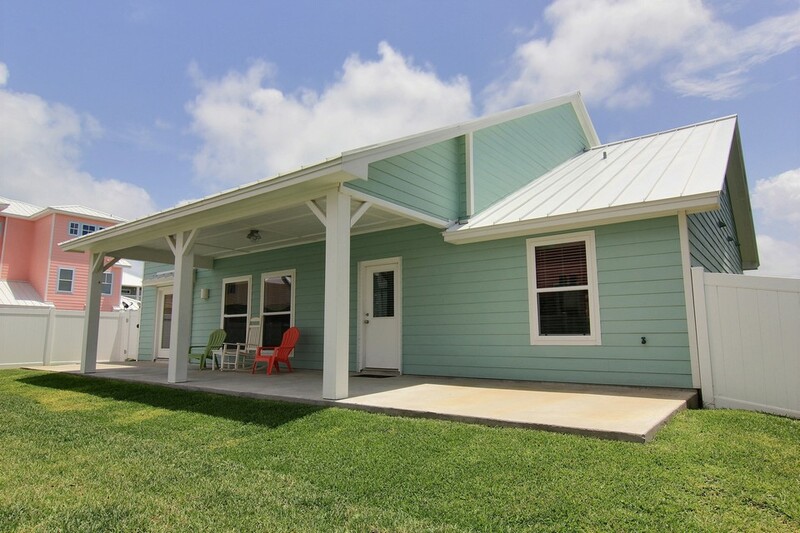 This one story home is contemporary and clean with the ease of being a one level home - and has barely been lived in. 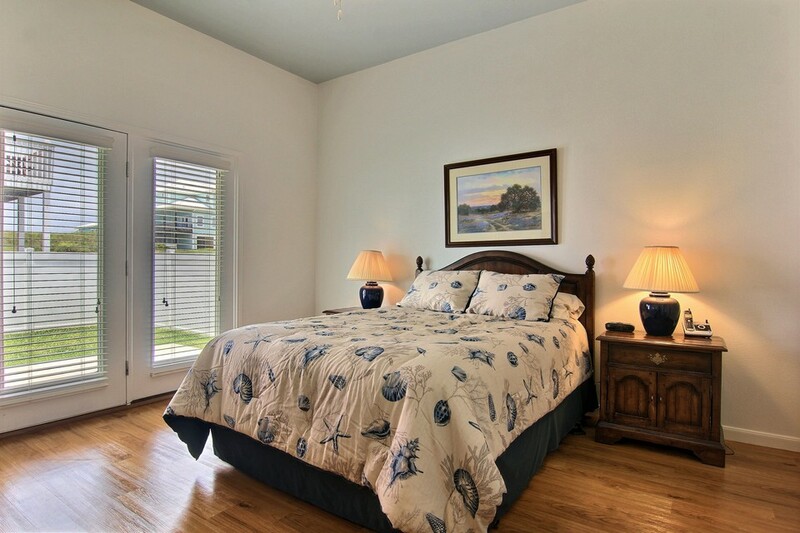 It has two master suites and split bedrooms. 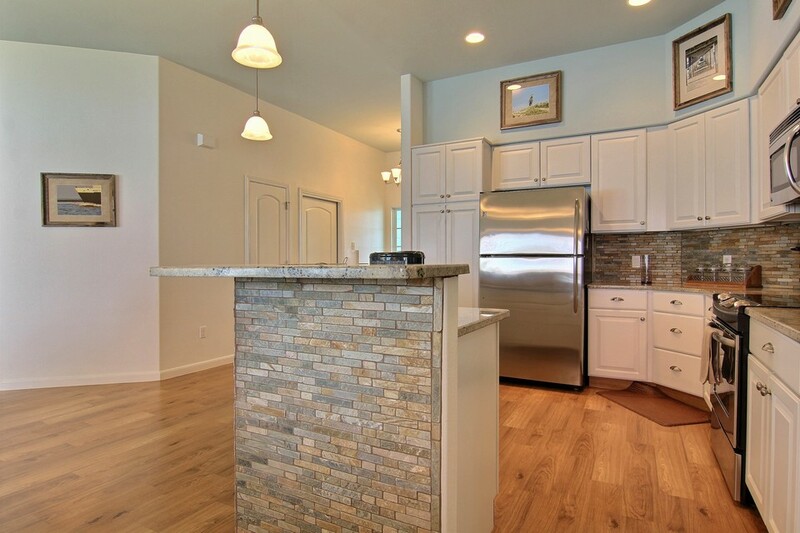 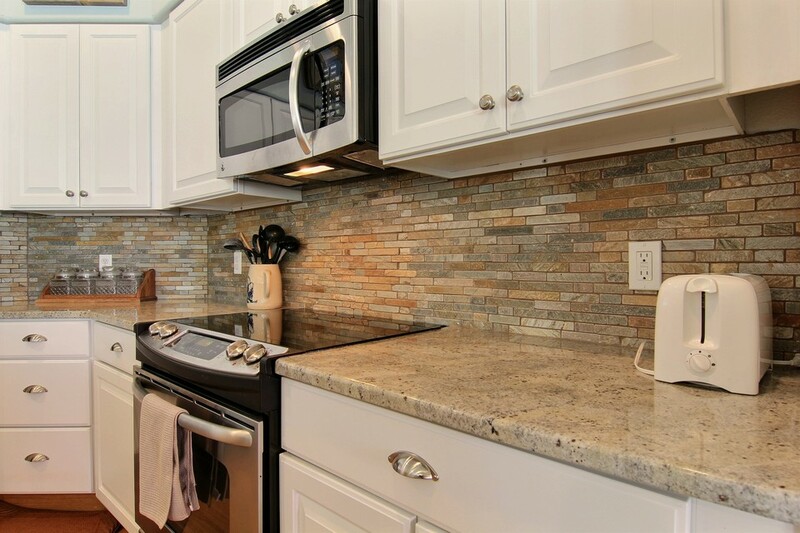 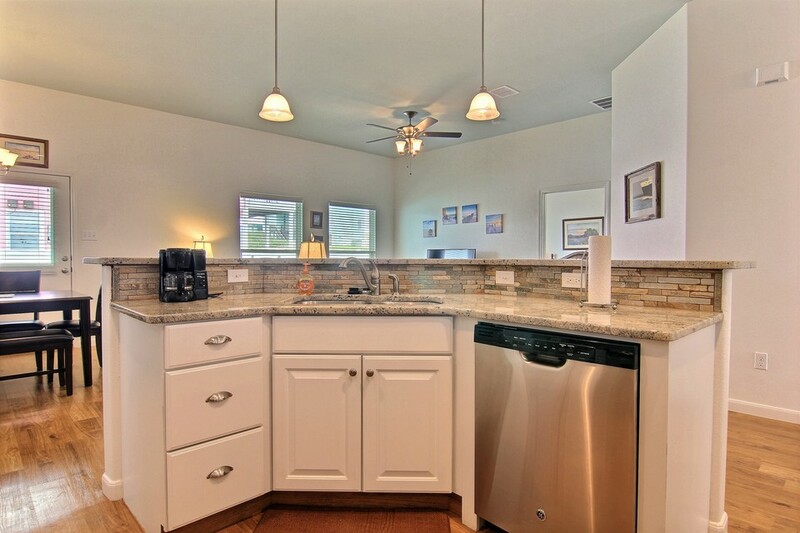 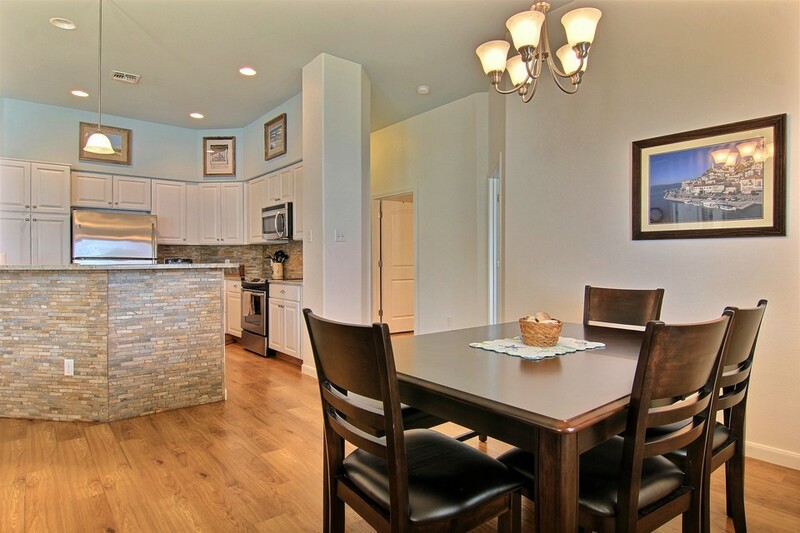 The kitchen is open and airy with beautiful granite counter tops, stone back splash and stainless appliances. 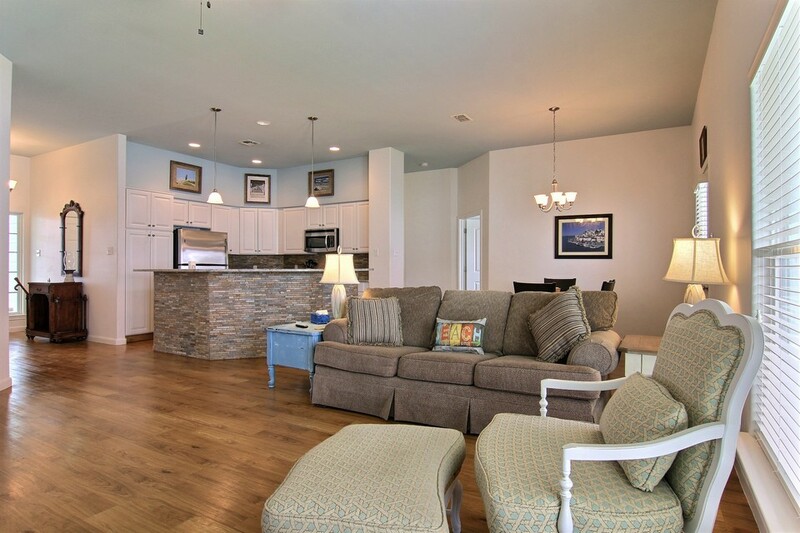 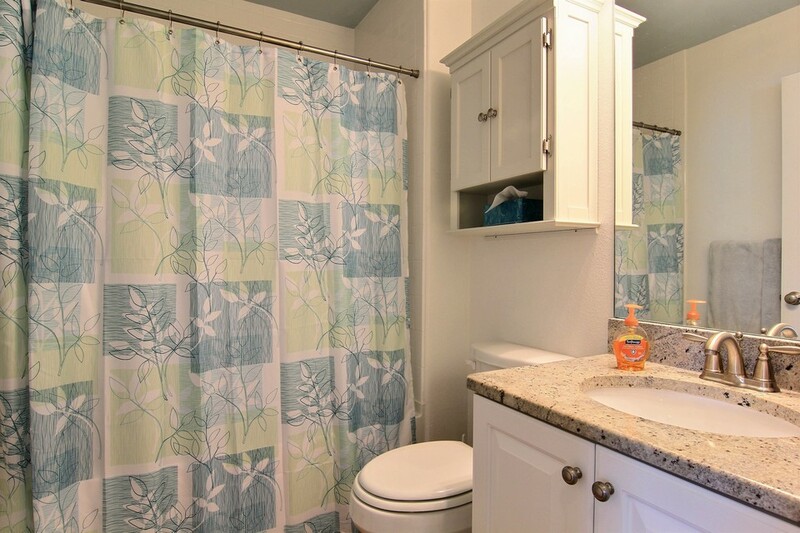 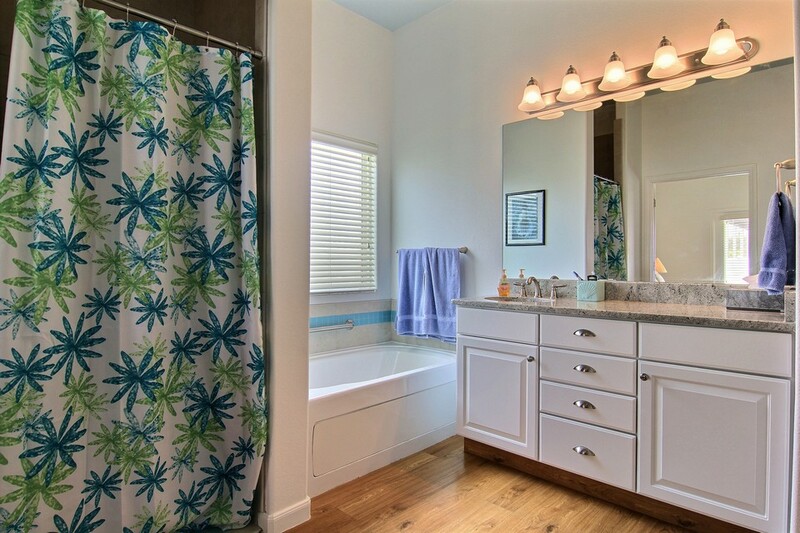 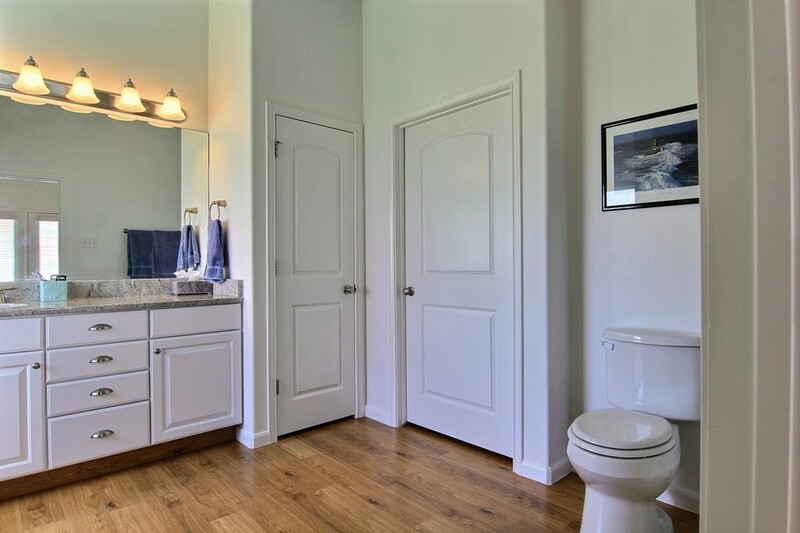 Relaxing coastal colors, great floors and fixtures throughout! 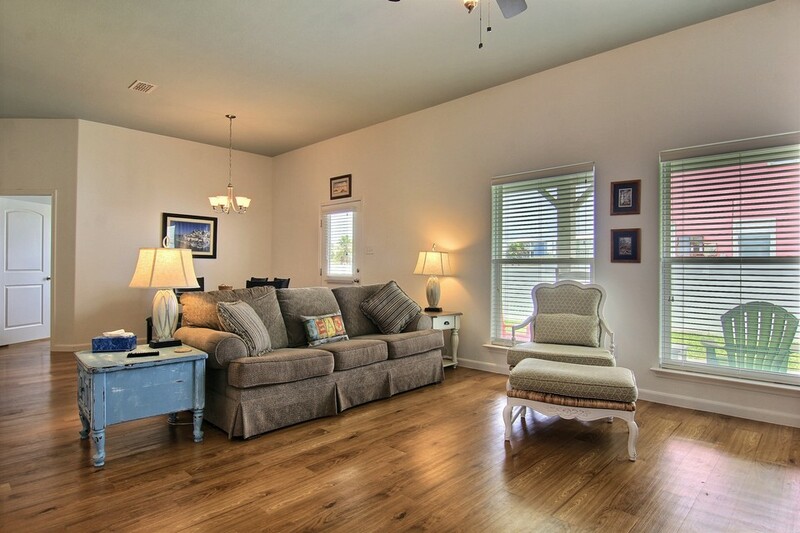 Nice private fenced yard with large patio area, perfect for outdoor entertaining. 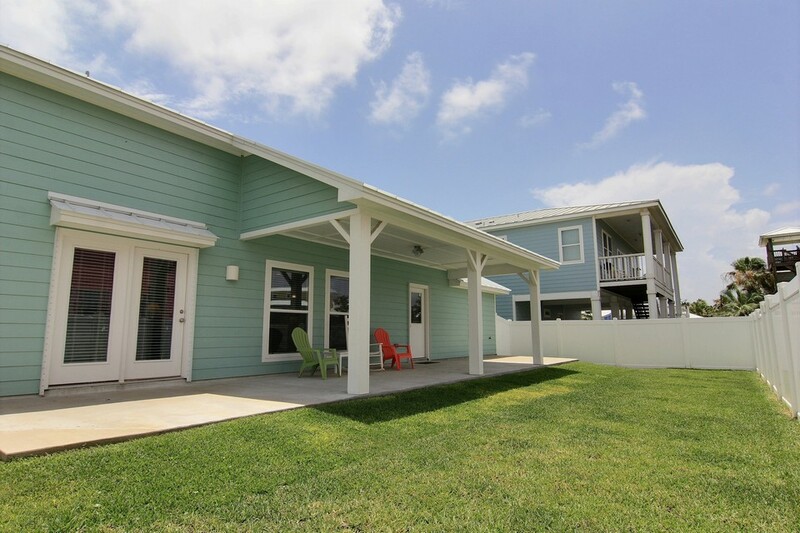 The two car garage is roomy enough for vehicles and beach gear. 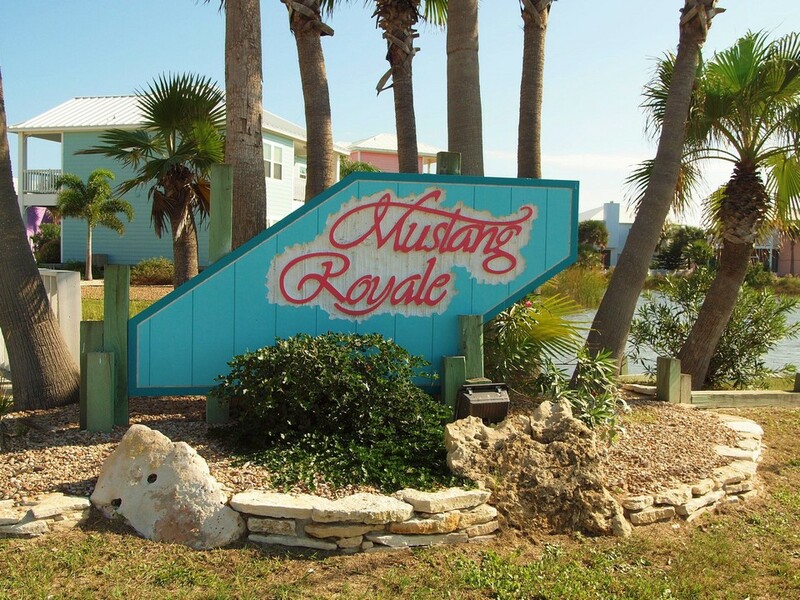 Mustang Royale is one of Port A's most popular beachfront subdivisions with a pool and walkway to the beach. 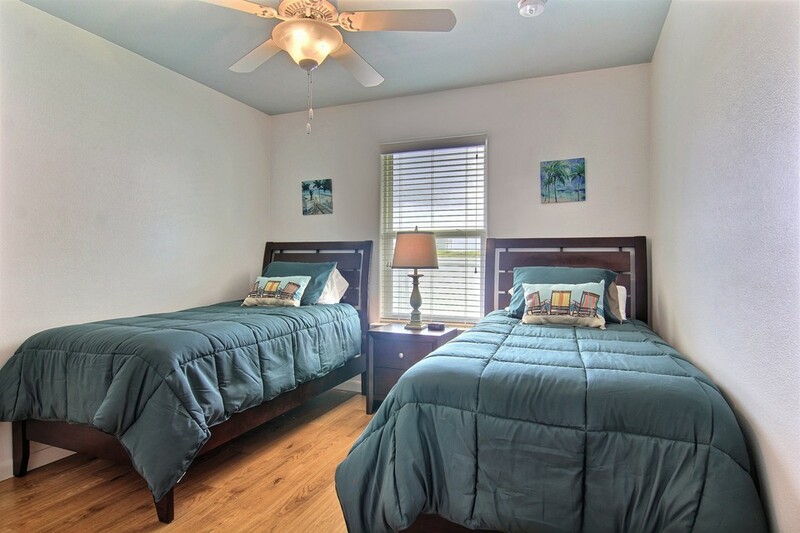 Short term rentals allowed - this house has not been in rental. 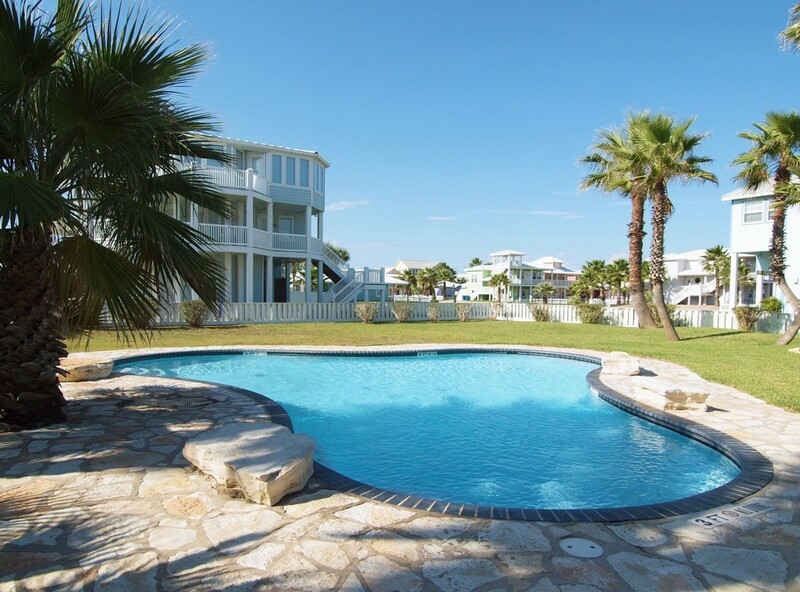 It is being sold furnished so you can start enjoying the Coastal life right away!